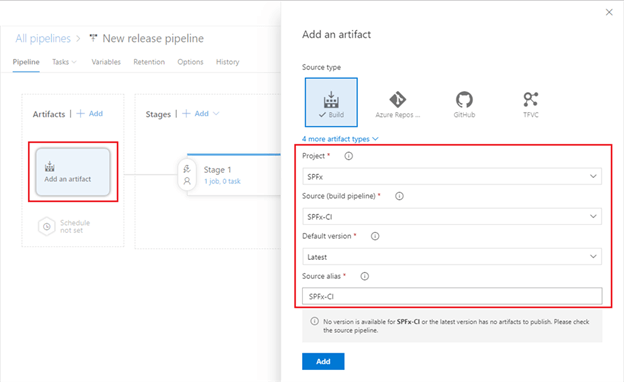 In this article, we will see how we can implement Continuous Deployment using Azure DevOps to automate the SPFx solution deployment. CI and CD are common acronyms in modern software development practices. It helps developers to deliver the product faster with transparency. 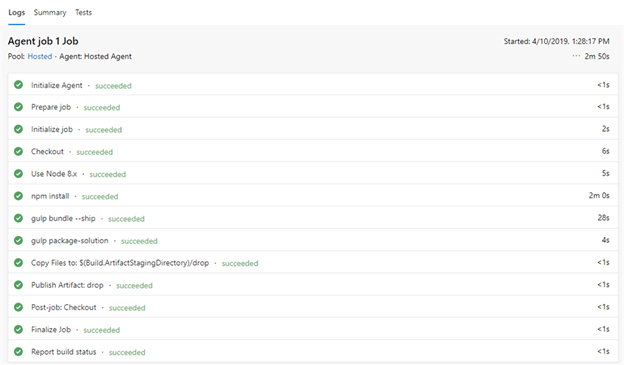 In the previous article, we learned the CI, CD concepts and set up the build process to achieve Continuous Integration. 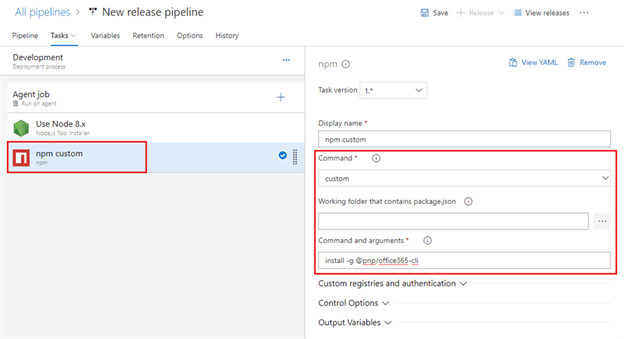 Continuous Deployment (CD) takes a package from the build and deploys it to a designated environment. Successful and failed deployments can be tracked by developers. 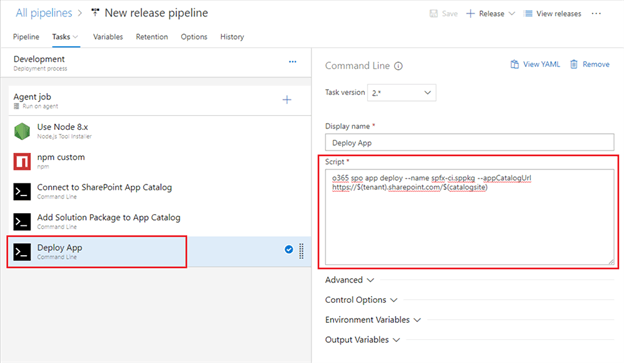 Continuous Deployment with SharePoint Framework involves the below steps. 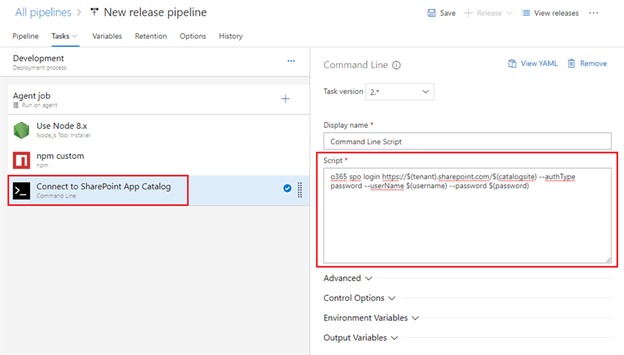 Create a new release definition with an empty template. In the “Command and Arguments”, type install -g @pnp/office365-cli. Add the “Command Line” task. In the “Script” field, type in below command. We can manually trigger the deployment. However, the ideal scenario is to trigger the deployment on successful build completion. Follow below steps to setup trigger. 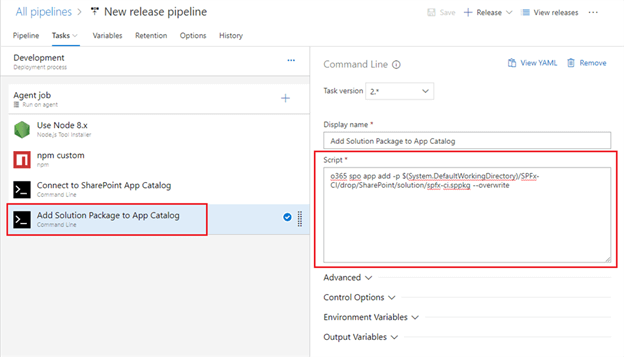 Follow the below steps to test the continuous deployment. CI/CD helps to automate the build and deployment process when a solution being worked on by the team is undergoing continuous changes. 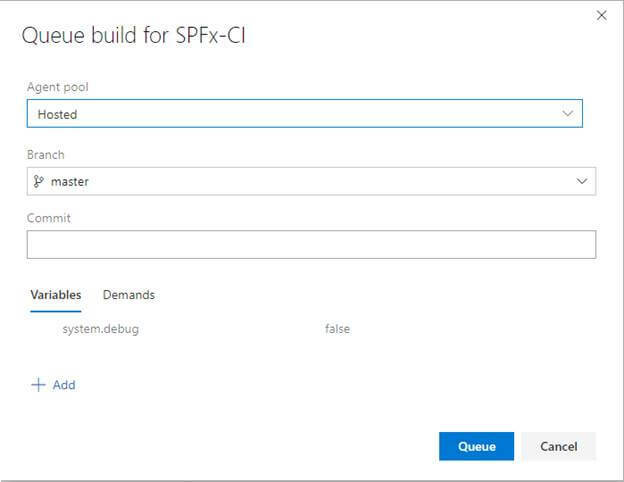 Azure DevOps helps to automate SPFx solution builds and deployment.